My colors if they can be called such, are whites and ecru's.....these pale colors look lovely on golden olive skin and in Florida those shades are pure simplicity, elegance, beauty and purity. I love them. 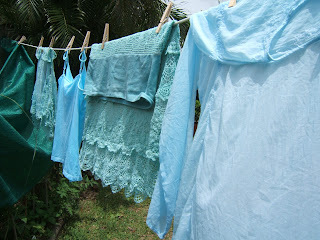 .....like this skirt in aquamarine or turquoise. 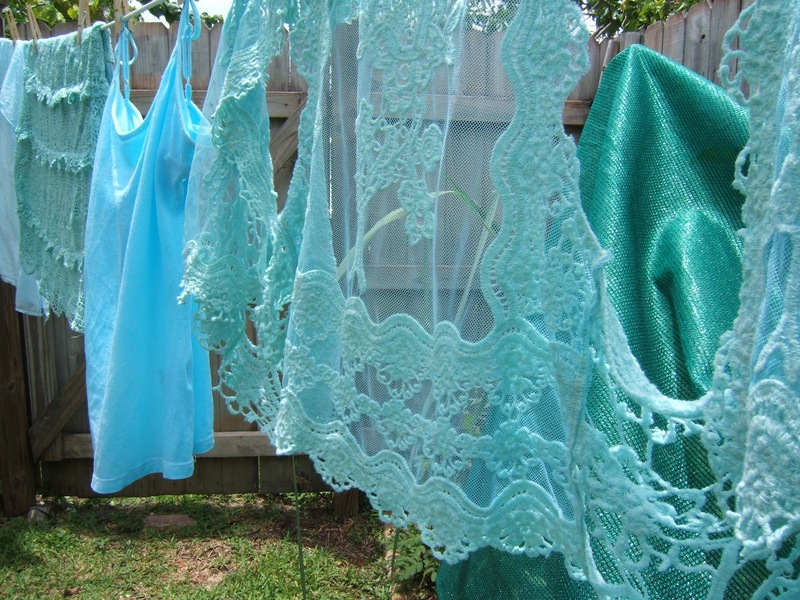 This is my inspiration for the love of this Aqua Marine blue.....and I know the greenish top helps with the effects of these hues. this is the music that goes with this color too......yes, I'm ''funny'' that way LOL. 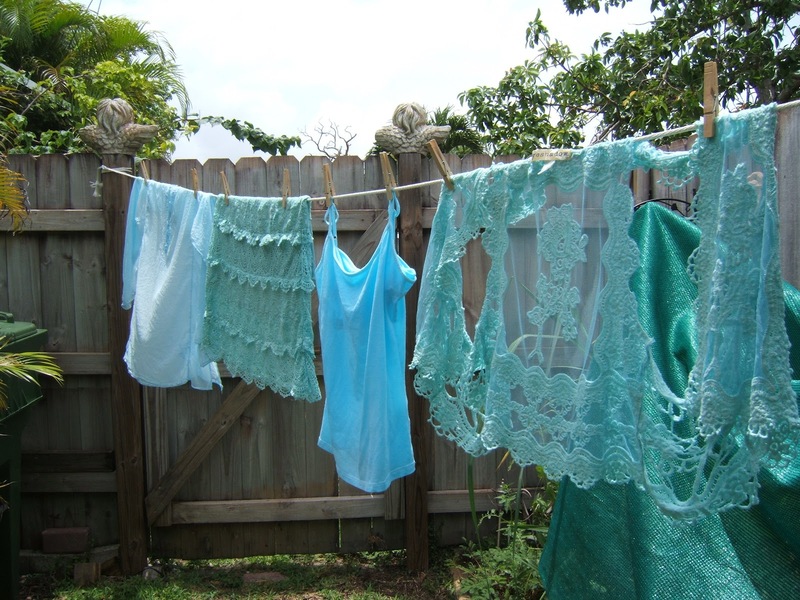 And so I went on a search/quest for these kinds of blues and blue greens or what is organically or naturally orginating from the Turquoise family. Like the language of flowers, such as the peony which I spoke of here and here , I had to understand why I craved that particular flower when I hadn't been around it in many many years, and now its a color. But my quest led me to understand what my soul was saying for the soul doesn't speak in linguistics, but in sights, sounds, colors, fragrance, feelings, sensation, intuition, all the higher faculties of our makeup as humans. 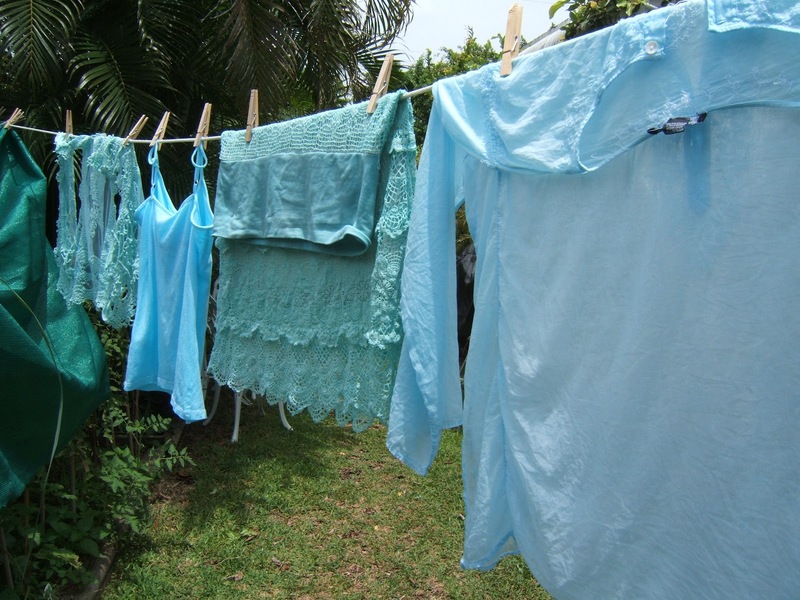 So do colors speak, and this Aqua or Turquoise color is speaking very loudly. When I saw this lace skirt I fell, and my quest began. Turquoise helps to open the lines of communication between the heart and the spoken word. It presents as a friendly and happy color enjoying life.In color psychology, the color turquoise controls and heals the emotions creating emotional balance and stability. In the process it can appear to be on an emotional roller coaster, up and down, until it balances itself. 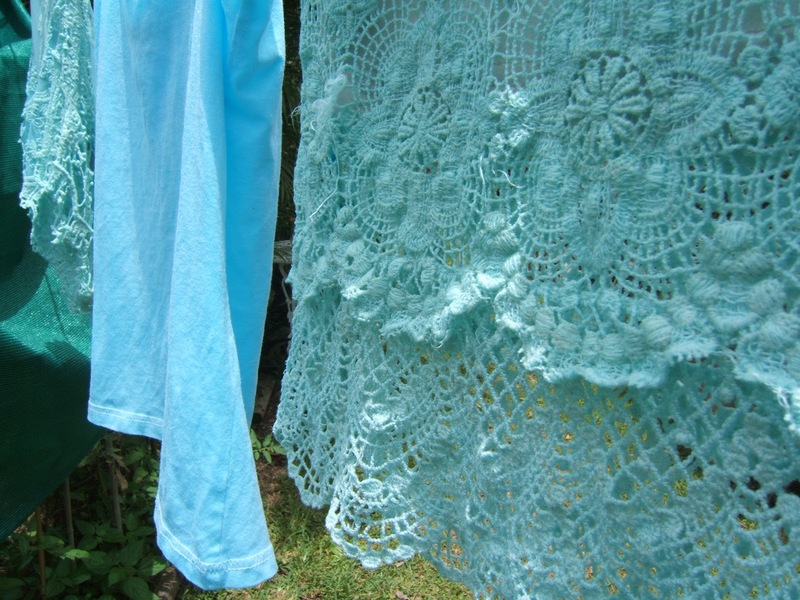 A combination of blue and a small amount of yellow, turquoise fits in on the color scale between green and blue. It radiates the peace, calm and tranquility of blue and the balance and growth of green with the uplifting energy of yellow. Too much turquoise in your life may give you an overactive mind and create emotional imbalance, making you either over-emotional or non-emotional. Communication: Turquoise represents open communication from and between the heart and the spoken word. It relates to the electronic age and the world of computers, and communication on a large scale. Self-Sufficiency: Turquoise has the ability to tune into its own needs and find the way to success. Clarity of Thought: Turquoise enhances the ability to focus and concentrate, assisting with clear thinking and decision-making, and the development of good organizational skills. 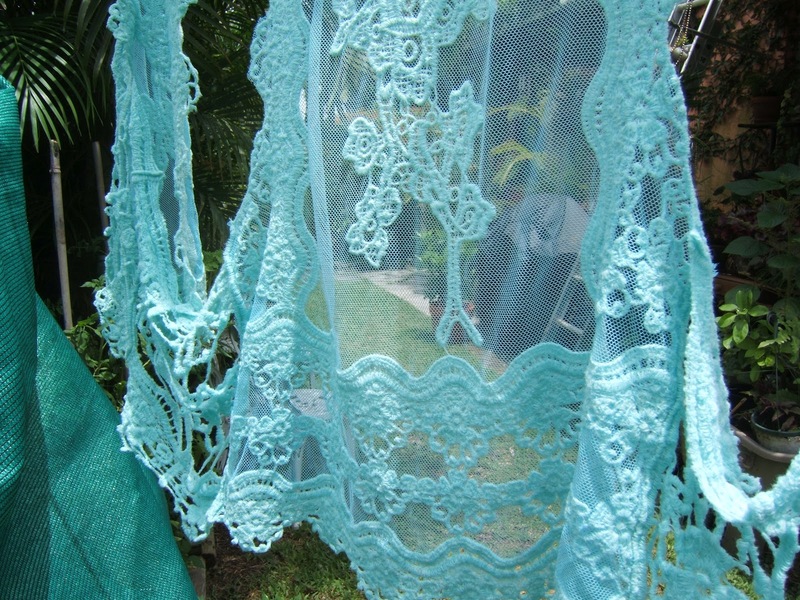 Calming: Turquoise is calming yet invigorating, restoring depleted energies. I have found lots of lace and crochet pieces. Thank goodness it is the trend right now, and available in places like Marshalls', T.J. Maxx etc. I will meditate on the color when I have the pieces dried and wearing them. 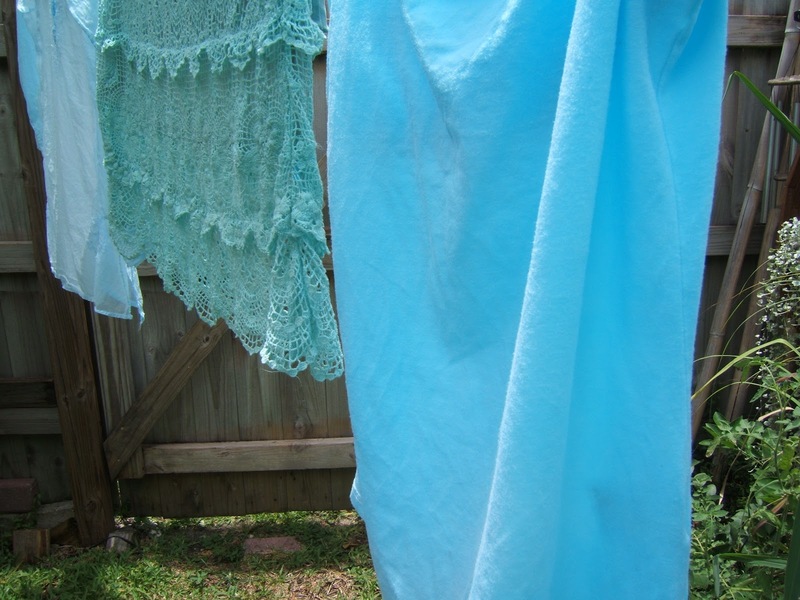 I love this color--the outside of my house is sort of a dark Turquoise and my livingroom room accents are that color. The rest of my accents are mostly the aqua color--which I love even more than turquoise. Now I really want that dye even more than ever! I saw it on the Simply Me blog the other day and have been wanting it extra bad since then. 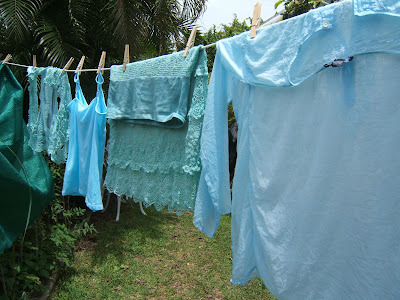 Now seeing the clothes you dyed I want it more than ever! Thanks for sharing--you have inspired me! Again! Its a beautiful color, the blue is sooooo soothing....you will love it. THAT was a KNOCKOUT presentation!!!! The music totally brought the color to life. 5 stars!! Its a beautifully refreshing color for me, I can understand why hubby likes it on you, its such a happy one....a good feeling one....found in the most soothing places in nature like the oceans and the skies.....vast spaces of happiness!